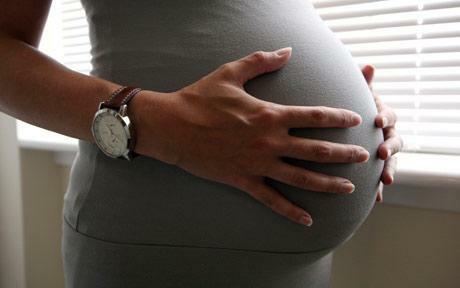 Pregnant women to be vaccinated against flu for first time: Genocide! These criminals have put the leftover swine flu vaccine into this year’s seasonal flu shot. Those pregnant women will lose their babies, or destroy their babies health with just one shot. All pregnant women are to be offered the seasonal flu vaccine for the first time this winter as they were one of the groups hardest hit by the swine flu pandemic. The H1N1 swine flu strain is expected to be the predominant strain of flu circulating this year as has happened in past pandemics and is contained in the seasonal jab for this winter. Because pregnant women were disproportionately affected by H1N1 scientific advisers have recommended they be included in the groups routinely offered the seasonal flu jab this year. In total around 15 million people are vaccinated in England and Wales against seasonal flu each winter at a cost of around £100m. There were some concerns raised by pregnant women and midwives last year over the swine flu vaccine as some felt it had been rushed through and others were worried about its contents. Pregnant women are usually advised not to be vaccinated and avoid medicines unless absolutely necessary. Data gathered during last year’s pandemic showed, however, that pregnant women were four times more likely to be admitted to hospital than the general population if they caught swine flu. Estimates based on British data also suggested that the mortality rate linked to swine flu was twice as high among pregnant women than the healthy general population. Between five per cent and 30 per cent of deaths attributed to swine flu were among pregnant women or those who have recently given birth. David Salisbury, director of immunisation at the Department of Health, said the concerns over safety were not justified as studies had not shown any adverse side effects of the pandemic vaccine in pregnant women. The seasonal flu vaccine which contains the H1N1 strain is slightly different to the pandemic vaccine used last year and does not contain the adjuvant ‘booster’ needed to stretch supplies of vaccine during the global outbreak. Prof Salisbury said: “We are back to a classic seasonal flu vaccine. He added that studies had shown infants of vaccinated pregnant women were protected against flu if they are born during or just before the flu season. He said to refuse the vaccine because it contained the H1N1 swine flu strain would be ”foolhardy’. As well as the H1N1 strain, this year’s seasonal flu vaccine contains a strain of H3N2 and a B strain of the disease, both of which had potential to cause serious illness, Prof Salisbury said. It is not known how the H1N1 virus will behave this winter, Prof Salisbury said, and its make-up may ‘drift’ slightly. However so far, experience of this year’s winter season in the southern hemisphere suggested much the same pattern as during the pandemic when younger groups were more likely to catch swine flu than in normal years, he said. Other than pregnant women, the groups to be offered the jab remain the same with all people aged over 65, those with long-term illnesses, healthcare workers and carers. Consideration was given to whether healthy children under five should be offered the jab as they too were more likely to catch swine flu and suffer complications from it. However Prof Salisbury said blood tests has shown that a large proportion were infected last year, although they may not have shown symptoms, or were vaccinated with the H1N1 pandemic jab and so are not as susceptible as other groups. One of the vaccine manufacturers has had a problem with packaging and there may be some delays in stocks reaching GPs. Doctors already have enough vaccine to begin their programmes but the second delivery may be delayed. GPs are being advised to see alternative supplies until normal deliveries can resume at the end of October. Around 10 per cent of the vaccine ordered for England and Wales is affected.